Explore the far reaches of the galaxy in this undeniably hip series that inspired a generation – and redefined anime as an indisputable art form. 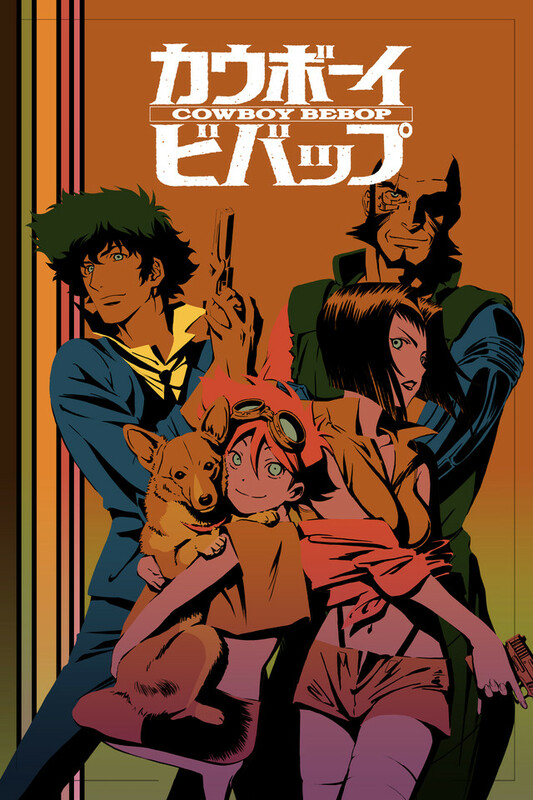 The Bebop crew is just trying to make a buck. This motley lot of intergalactic loners teams up to track down fugitives and turn them in for cold hard cash. Spike is a hero whose cool façade hides a dark and deadly past. The pilot Jet is a bruiser of a brute who can’t wait to collect the next bounty. Faye Valentine is a femme fatale prone to breaking hearts and separating fools from their money. Along for the ride are the brilliant, but weird, hacker Ed and a super-genius Welsh Corgi named Ein. On their own, any one of them is likely to get lost in the sprawl of space, but together, they’re they most entertaining gang of bounty hunters in the year 2071.